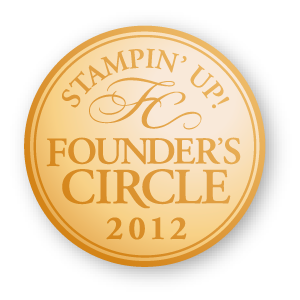 As you read this, I am in Baltimore, MD for the Stampin' Up! Regional Event! One of the things I love about being a demonstrator is the fun events we get to attend - they include stamping so you know they HAVE to be fun! I'm especially thrilled that 8 of my downline team members are attending with me - some have never been to a Regional event before and I know they are going to have a blast! 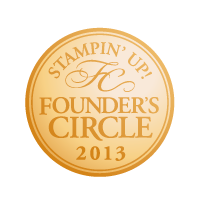 Now that you know what I'm up to this weekend, how about a little stamping?! 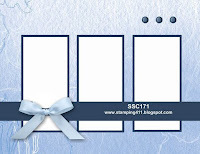 Here is the great Stamping 411 sketch for the week and this time it was designed by our own Gretchen Barron. The first thing you may notice is that I moved the bow over to make room for the focal point, but remember, a sketch is just a guideline - your creativity should work from that! Whisper White card base: 5 1/2" x 8 1/2" folded to make an A2 card sized at 4 1/4" x 5 1/2"
Real Red layer: 4 1/8" x 5 3/8"
These two layers were adhered together with SNAIL adhesive and popped up on Stampin' Dimensionals on the card base after I added the ribbon across the front. Panel layers: Real Red cardstock: 1 1/2" x 3 1/4"
Candy Cane Lane Designer Paper: 1 1/4" x 3"
1 3/8" Circle Punch. I layered this on a piece of Real Red that was punched out with the 1 3/4" Circle Punch. I edged this with the 2 Way Glue Pen and dragged it through some Dazzling Diamonds Glitter to make it sparkle! It was then popped up on more Stampin' Dimensionals over the Blushing Bride Poly Twill Ribbon. I added a Rhinestone Jewel for a little extra something special, plus it tied in nicely with the three Rhinestone Jewels above the far right panel. I created the bow with 8" of the Blushing Bride Ribbon and adhered it next to the circles with Mini Glue Dots. 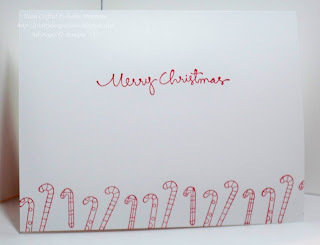 The last step for the card front was actually done after I stamped the inside (shown below) - I added some Crystal Effects to the candy canes to make them shine. Can't you just taste the peppermint now?!! I kept it simple and just added the main greeting from Christmas Greetings and stamped a border of candy canes across the bottom. Don't you just love Christmas?! I can't wait to buy my first package of candy canes this year. I'll hang most of them on the tree, but a few will find their way into my secret stash to be enjoyed! 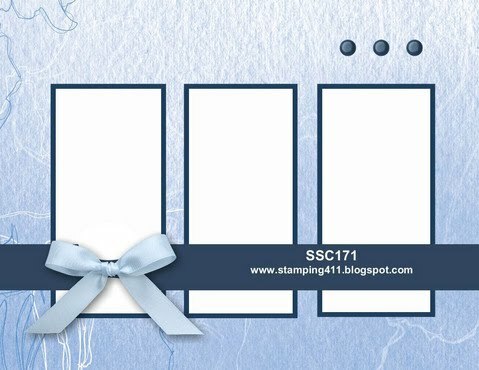 Be sure to visit the Stamping 411 Blog and see what the other Operators created with this layout this week. 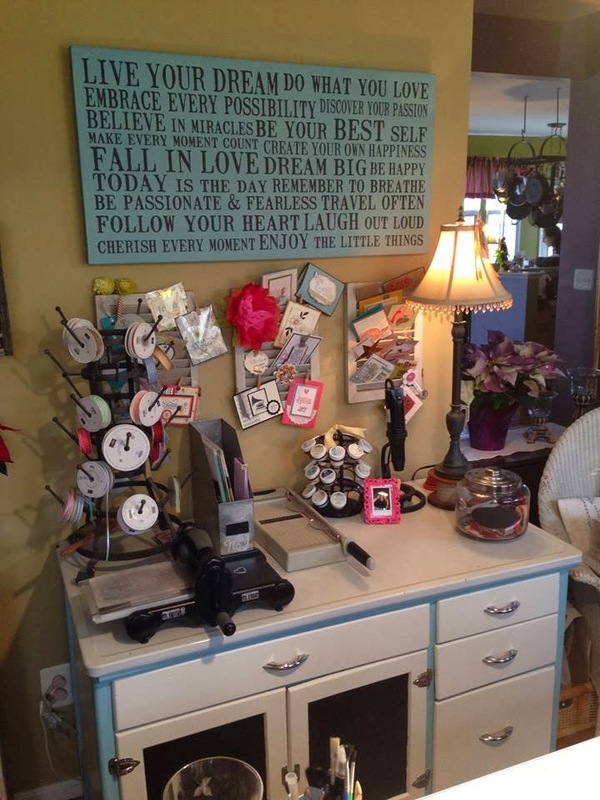 They are an amazing bunch of stampers and I know you'll be inspired! 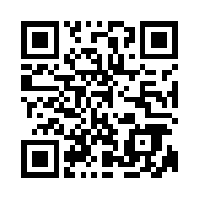 We'd love you to play along with us too! 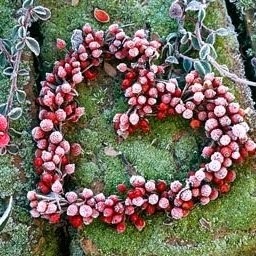 Have a wonderful weekend and hug the ones you love! Robin, this is just adorable. Robin, this is so sweet! I love candy canes (although I insist that the ones with the green stripes taste better that the plain red ones). Hope you're having a blast in Baltimore! Sweet card, Robin! Just like you! I enjoyed meeting with you yesterday and trust you had a good trip home!! 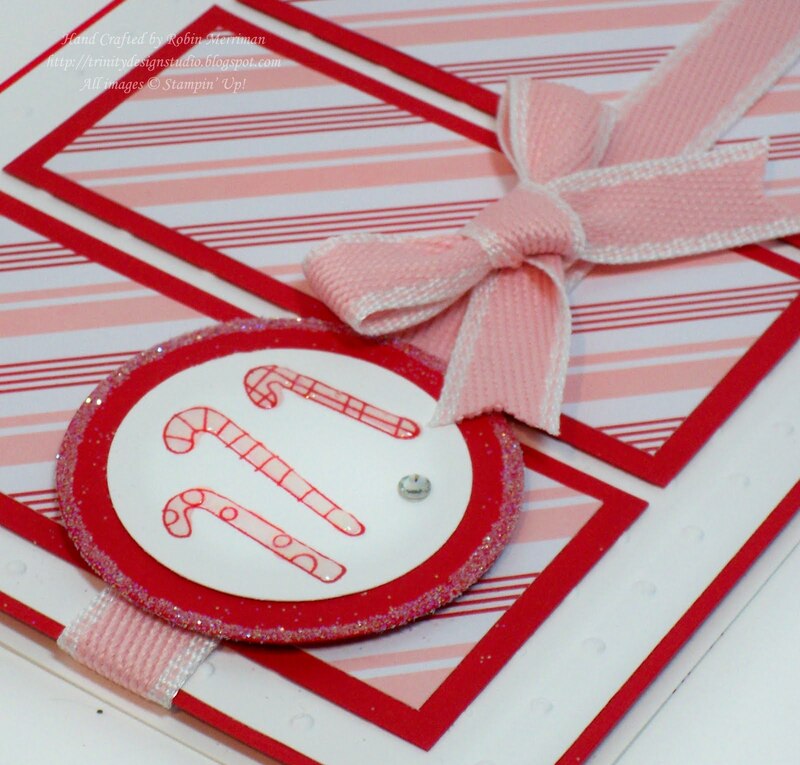 This is such a fun card Robin, I love the glitter on the edge of the candy cane circle, and the finished inside is just perfect! Such a FUN Christmas card, Robin! Good enough to eat! This is sooooo yummy!!! I love it and it really makes me want a Big Yummy Candy Cane right now!!! Those are my all time favorites!! !